United Airlines has a gargantuan task ahead of it if the airline is to get its house back in order from a customer-service standpoint. United Airlines was apologizing for its customer “disservice” in the form of late-arriving flights, cancellations and mishandled bags even before the Department of Transportation revealed the extent of the airline’s transgressions. 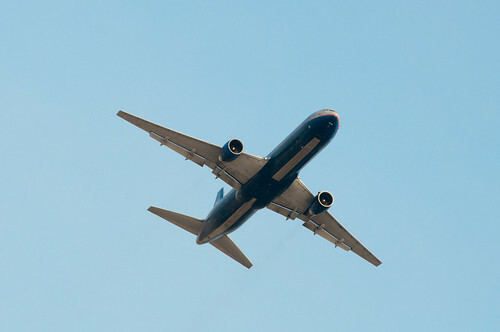 In fact, according to the numbers in the DOT’s Air Travel Consumer Report, unveiled August 9, United was the recipient of 1,740 consumer complaints from January to June 2012. And, according to a statistical deep dive by The Consumerist, that amounted to more than one-third of the complaints leveled against all U.S. airlines. And, as The Consumerist points out, United’s adeptness in attracting consumer complaints during the first half of 2012 was far from just a consequence of merging with Continental Airlines because United received nearly double the complaints that United and Continental took in on their own during the same period in 2011. Airborne United Airlines plane. Photo by InSapphoWeTrust. Only huge problems like this induce such apparent candor. United introduced an Outperform Recognition Program on its mobile app, providing incentives to both employees and passengers, including MileagePlus members, for providing and recognizing, respectively, great customer service. United’s COO, Pete MacDonald, has been charged to lead “an aggressive effort to address these issues,” according to Smisek. United’s customers undoubtedly have felt a lot of merger-integration pain as reservations disappeared, MileagePlus accounts never got credited, flights were hours behind schedule, and checked bags traveled the world to unscheduled destinations. That aggressive effort from MacDonald can’t show results soon enough as far as United’s passengers are concerned.